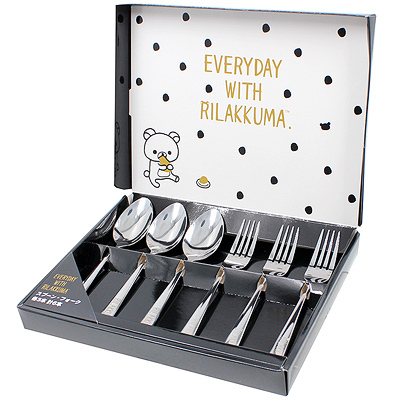 Add a touch of cuteness to your meals with this elegant Rilakkuma cutlery set! 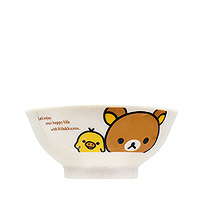 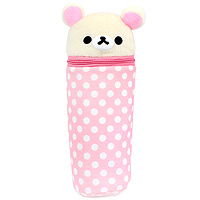 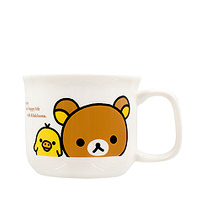 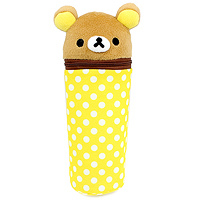 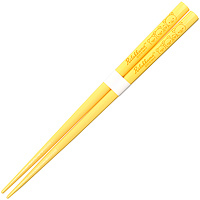 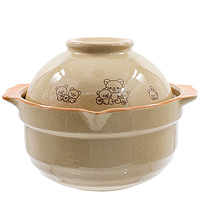 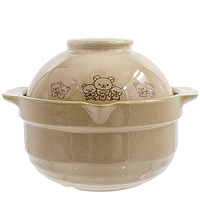 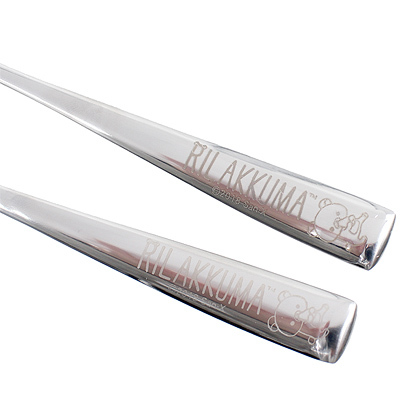 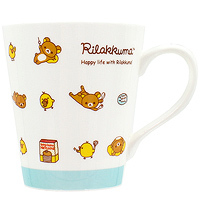 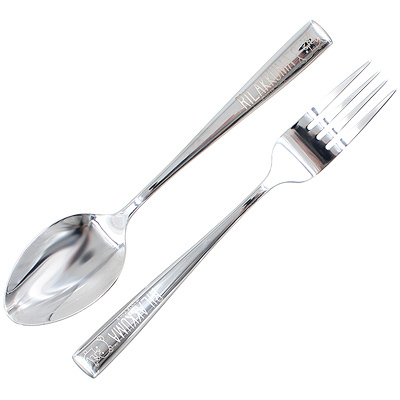 It features three forks and three spoons, all cutely finished with a logo and Rilakkuma image detail on the handle. 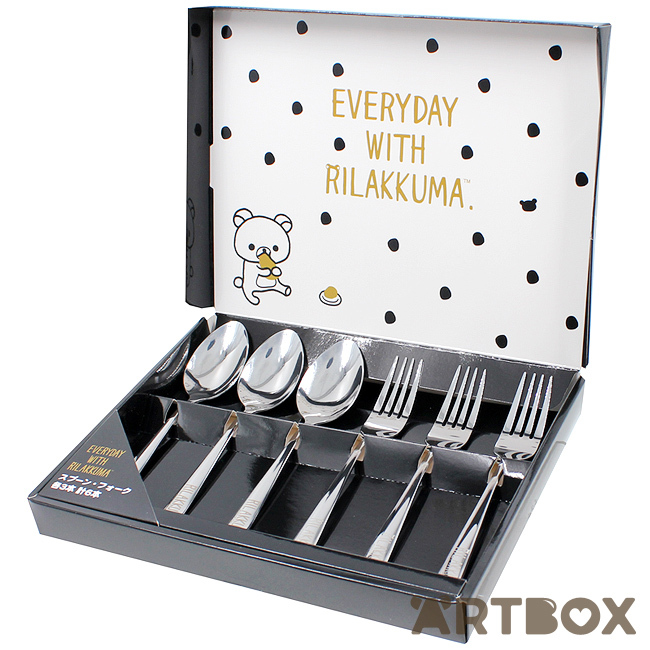 The set comes nicely presented in beautifully designed gift box with Monochrome series print.